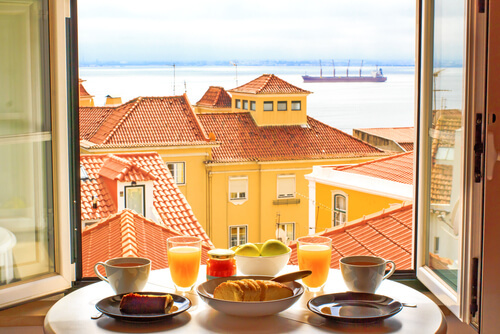 Breakfast in Portugal is a simple affair – many locals keep things basic with a slice of buttery toast and a galão or, a meia de leite (milky coffee). Since you’re a foodie on holiday (when in Rome, right? ), use this meal as an opportunity to sample one of the country’s beloved sweet pastries. Portuguese custard tarts and caramelised almond tarts are delicious and deserve a place at every meal. The best bit about heading to a pastelaria (pastry shop) nice and early is that you also have a high chance of tasting a fresh-out-of-the-oven treat. Pastelaria Beira-Mar near Faro and the family-run Padaria Central in Lagos are recommended and will leave you smiling for hours. When a local doesn’t have time to linger over breakfast or lunch, they’ll often grab an on-the-go snack. Enter the pastel de bacalhau, a deep-fried salted codfish cake, one of the most traditional foods in Portuguese cuisine. Another one to try is bifanas – a crusty bread roll filled with marinated pork seasoned with garlic and spices. 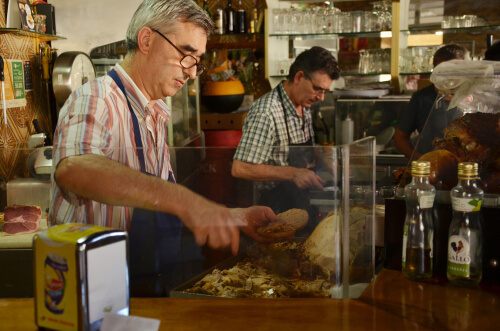 A Tendinha do Rossio in Lisbon is the place to try a pastel de bacalhau, while Beira Gare, also in Lisbon, does a mean bifana. Beautiful Sagres, with its picture-perfect headlands and location in the southern Algarve of Portugal, is a dreamy spot to spend some time. Here, you can spend your days visiting iconic spots like Cabo de São Vicente (the Cape of Saint Vincent), the most south-westerly point of Europe, and dining on authentic local dishes in rustic settings. The interiors of A Casinha restaurant are inviting and the no-fuss menu is simple yet delicious. There’s a great variety of fresh seafood on offer, from bream to king prawns, but the dish of choice is the seafood cataplana, a traditional Portuguese stew from the Algarve region. To keep you pushing through until dinner, you’ll need a snack to satiate any hunger and a pick-me-up espresso. 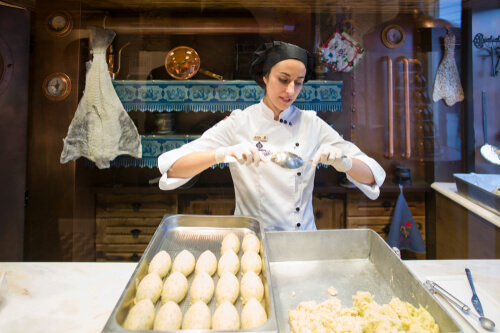 Get familiar with pastries such as ‘Sintra’s pillow’, a pastry filled with egg, cream and almonds, and Portuguese custard doughnuts, as these will likely become your afternoon snacks of choice. 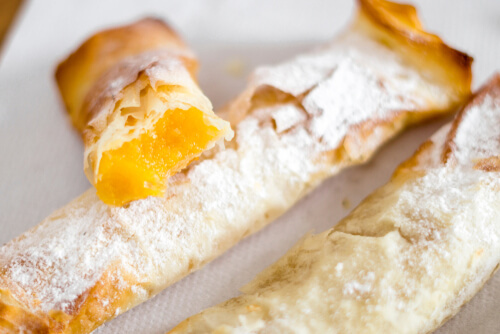 Look out for a traditional pastelaria which will stock these and other sweet treats. Try Casa Piriquita in Sintra and Pastelaria Manuel Natário in Viana do Castelo. 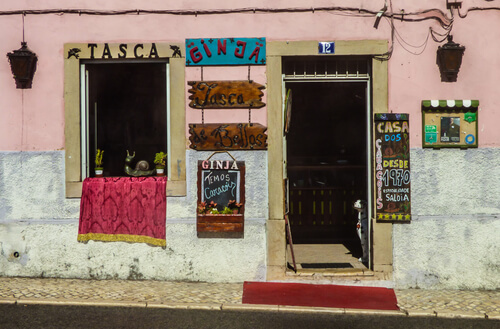 A tasca is a traditional Portuguese eatery or tavern that is often family owned and serves up menu del dia (menu of the day) for a fraction of what you’d find at more expensive restaurants. Tascas are often found in the old town of a city and are where locals flock to dine – good food and wine, great service, and a charming, intimate vibe are generally guaranteed. You can’t go wrong at Quebra o Galho in Coimbra in central Portugal, and A Tasca in Cascais, a coastal resort town close to Lisbon. 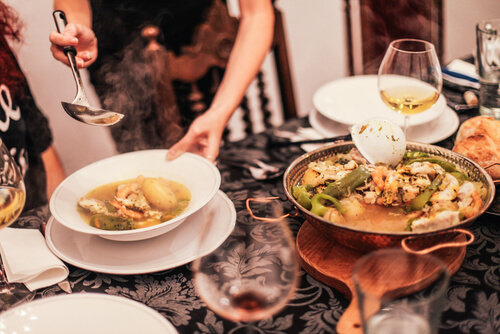 If you fancy dinner with an international twist, and a bit more education surrounding your meal, then the Mimo Algarve Cooking School has you sorted. The cooking school’s supper club is a two-hour dinner where the head chefs will talk you through the dishes they prepare. That way, you can take home a few tips and tricks. A wine expert will also guide you through several wines that can be paired with your dishes. It’s best to book ahead. Whether it’s one aperitivo in the afternoon, a few oaked whites, a full-bodied red wine during dinner, or a nightcap to end your day, there is no shortage of choice for tipples in Portugal. One of the best regions to visit is the Douro Valley. Touriga Nacional is a must try – it’s one of the area’s most widely planted grapes, and said to be Portugal’s finest red grape variety. Be sure to try a glass of spicy, tawny port as a nightcap. 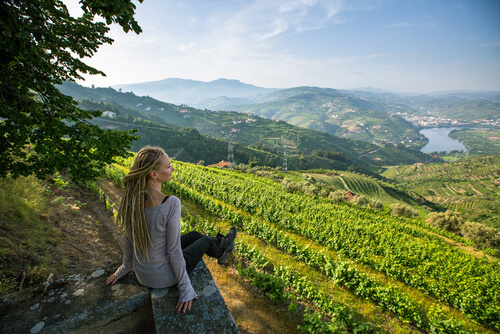 A few days in the Douro should allow you plenty of time to sample some of the country’s best drops. Check out Quinta do Vallado, established in 1716, and Croft where you can partake in chocolate and port pairings. Given you’re in Europe, you wouldn’t be eating like a local unless some type of gelato or sorbet were included in your day. 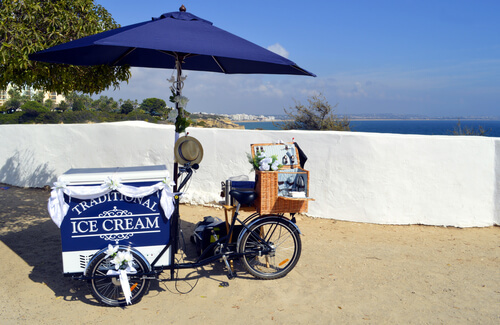 Sorbettino in Lisbon is a vegan-friendly ice-cream shop that uses 100% natural ingredients. Choose from Valrhona chocolate sorbet, avocado sorbet, black sesame ice cream, or the ever-popular salted caramel ice cream.